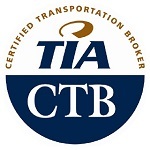 The Certified Transportation Broker (CTB) Program was developed by the Transportation Intermediaries Association (TIA) to increase the professionalism and integrity of property brokerage, meet the educational needs of brokers, and expand basic knowledge of the brokerage and transportation industry through a rigorous certification program. The CTB Program, designed with home study and exam components, provides brokers with a wealth of information on business operations, transportation regulations, and brokerage practices. The Online Study Course (OSC) is offered to help individuals study and prepare for the exam. This course is an intensive three-month online program that utilizes a textbook and online materials to provide a structured review process. All of the material, minus that covered in Foundations of Business, 5th edition, is available in the OSC. The online study course is offered prior to each scheduled exam. Access for the Certified Transportation Broker Online Study Course begins September 30 and ends at 7:00 am ET on December 14.